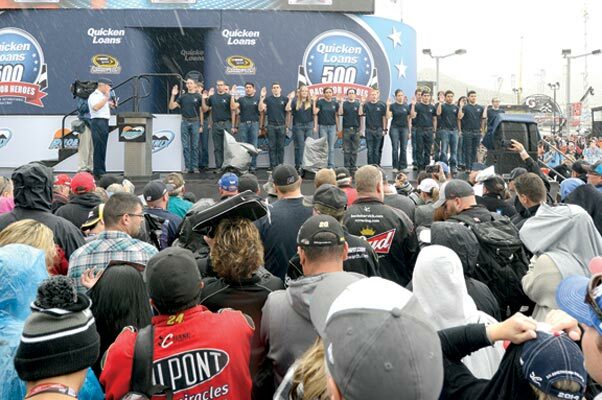 Luke Air Force Base Airmen fold the American Flag during the Quicken Loans Race for Heroes 500 opening ceremony Sunday at Phoenix International Raceway. Veterans, active duty military members and their families were honored for their service throughout the day’s events. Forty-three race cars, 200 laps and only one driver to win it all. Fast cars and intense action are not all NASCAR is known for. 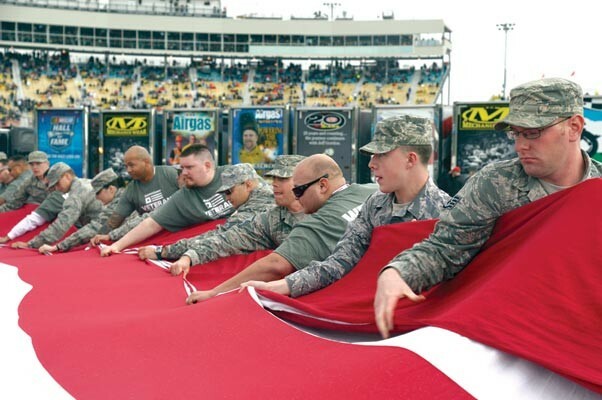 It’s also known for recognizing throughout the NASCAR season those who serve in the military. Lt. Gen. Mark Nowland, 12th Air Force commander, delivers an oath of enlistment to 25 Air Force delayed entry program members prior to the start of the race at the PIR. U.S. 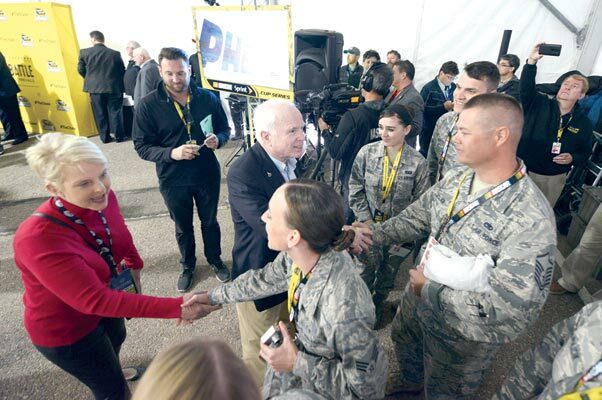 Senator John McCain, center, and Cindy, his wife, left, greet Luke Airmen during the NASCAR’s drivers meeting. 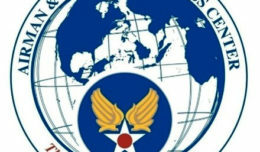 Luke Airmen received a “Hot Pass,” which allowed access to behind-the-scenes areas. 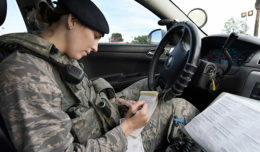 Aric Almirola, NASCAR driver, signs Airman 1st Class Kaitlyn Straight’s, 56th Medical Operations Squadron medical technician, poster during their visit through the garages before the race. Almirola talked with Airmen and autographed gear.